Upgrade your home’s interior with our stunning in-stock collection of hardwood flooring. Our flooring store offers solid hardwood flooring that is sure to keep your home or place of business elegant for years to come. We offer hardwood floors in a variety of species and finishes to accommodate your specific interior design needs. Our team works with you to plan, design, and execute your next re-flooring project in its entirety. Invest in your property and make it stand out. Our hardwood flooring prices make it easier to invest in the products you like best. Set a distinct tone throughout your property with solid hardwood flooring. As its name suggests, this flooring option is produced directly from trees. Hardwood imparts a timeless appeal in both homes and businesses. It also gives off an air of elegance throughout the entire interior. Its distinctive look, feel, and sound underfoot makes hardwood a solid choice for those who wish to create an elegant atmosphere. Hardwood is a long-lasting investment. Due to its all-natural composition and reputation as a lasting flooring material, this option can easily increase the value of your property. When you are looking to put your home on the market, having a hardwood floor attracts more potential buyers. 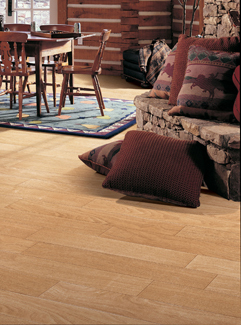 Simply put, this flooring is meant to last and be cherished by future generations. Give your property a stunning makeover with our wide selection of discount hardwood flooring. Thanks to our wholesale approach to interior remodeling, we are able to provide a great selection of flooring samples, each backed by fair and affordable rates. We make a point to keep hardwood flooring prices sensible, so you are better prepared to conduct your next remodeling project. Choose a flooring store that is committed to securing the products you want. We make a point to provide a wide array of products because we know each remodeling project is an opportunity to leave your mark on your own property. We carry a number of renowned brands, such as Shaw™, Mohawk™, and Armstrong™, so you can have total confidence in your selection. We also stock a variety of different wood species, including mahogany, oak, and pine. You took the time to choose your favorite flooring. Now, work with a team that is dedicated to bringing it all together. Our company is available to conduct hardwood flooring installation services that work within your schedule and budget. Whether you are remodeling a single room or looking to revamp your entire property, our skilled installers are here for you. We deliver accurate service and complete all the steps so you can enjoy your new investment in a quick and cost-effective manner. Make your next investment with total confidence with the help of our flooring store. From the initial consultation and all the way to your installation, our flooring specialists make a point to address your every need. We take a personalized approach to service so you are completely satisfied with your decision. Contact us today and elevate the prestige of your property with hardwood flooring. We proudly serve clients throughout Billings, as well as Eastern Montana and Northern Wyoming.